Reports from China suggest that LG Display is considering changing the basic structure of its white OLED panels (WOLED) used in LGD's OLED TVs. LGD is currently using yellow and blue OLED materials to create a white OLED, but now LGD may switch to an RGB based mix. 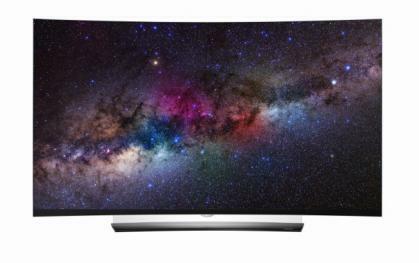 It's not clear from the Chinese reports (which are unverified yet, of course) - but it's likely that LGD will not switch to a direct-emission RGB structure, but rather use the RGB materials to create a white OLED and remain with a color-filter based design. Switching from Y/W to R/G/B may enable LGD to achieve higher color purity - and so a larger color gamut, and may also be more efficient. LGD's WRGB architecture - which creates 4 sub pixels using color filters (reg, green, blue and non-filtered) to create a colored image from a single white OLED pixel - is less efficient and less color-pure compared to a real RGB sub-pixel architecture, but WOLED displays are much easier to produce as there's less need for subpixel patterning. Phase-changing materials to enable rich-color efficient e-paper displays?